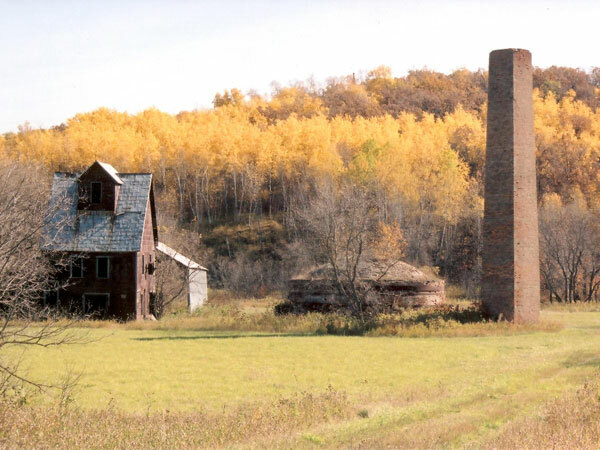 The Leary Brickworks is a small brick factory (now closed but clearly visible from the public road nearby) tucked into the banks of the South Boyne River in the Pembina Hills, just west of Roseisle in the Rural Municipality of Lorne. From 1901 to 1905, it was built and operated under the name of the Boyne Valley Brick Works Company by George Leary and partners including Hugh John Macdonald. Under Leary’s supervision, the plant produced common and dry-pressed bricks at a rate of up to 12,000 a day, obtaining their distinctive salmon-red colour when the grey-coloured shale from which they were made was exposed to high temperatures in a kiln. In time, the partners had plans to expand into commercial cement, earthenware, and pottery. The necessary combination of shale (quarried from a riverbank immediately south of the brickyard), water and wood for fuel were all located here, as well as a railway siding to move the finished product to market. In 1905, the firm became the Dominion Pressed Brick Company, with R. P. Roblin as a partner. In 1910, the Leary family assumed sole proprietorship of the brickyard, under the name of Learys Brick Company, and made and shipped bricks throughout Manitoba. Buildings constructed of Leary bricks during this period included the Albert School, Brooklands School, the first Kelvin High School, and the older part of the Fort Osborne Barracks. In 1917, the brickyard was forced to close due to the scarcity of labour and business, both conditions arising from the First World War that was raging at the time. 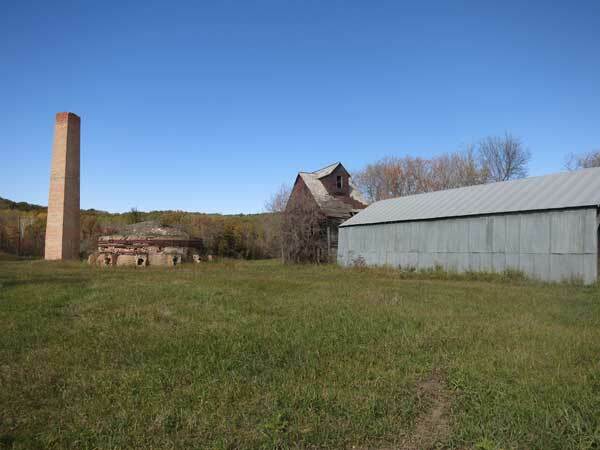 Leary’s son William, a decorated Canadian war veteran, returned to the area and took up farming, meanwhile refurbishing the old brickyard with the intention of reopening it someday. In 1947, William A. “Bill” Leary reopened the plant, which had stood idle for 30 years, and operated it successfully for six years. Regrettably, his plans were cut short when he died of complications following an injury in March 1953. Winnipeg contractor Erven Tallman attempted to resume operation in 1962, with bricks made under the Leary name, but he was unable to produce a satisfactory product, and many specimens of that failed batch survive today. Ownership of the site reverted to the Learys but the facility was never used again, leaving vacant an intriguing site that is both beautiful and evocative of the pioneer era. 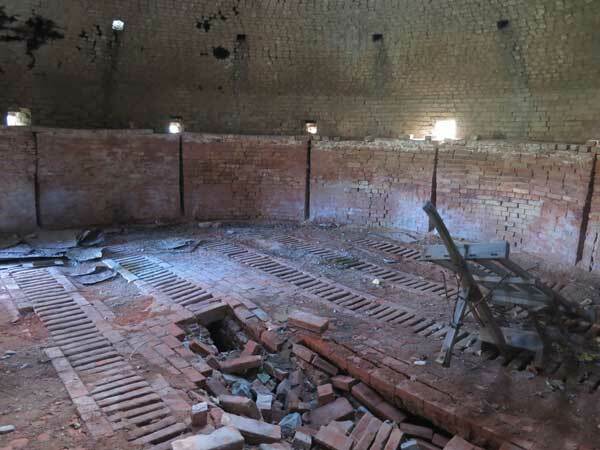 Remaining from the glory days are a towering brick chimney, a massive beehive kiln for firing loads of some 80,000 “green” bricks at a time (at temperatures up to 1800°F), a three-storey-tall drying shed, and a building housing a shale crusher and brick press. 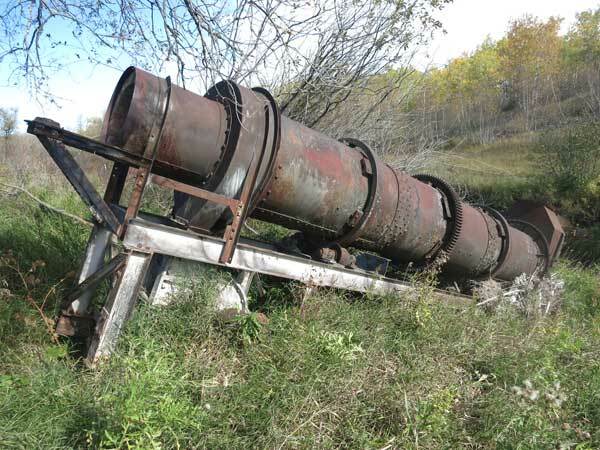 All are now in an advanced state of deterioration, having been unused for over 50 years. This site is on private property and trespassers are at risk from unstable buildings and concealed hazards. Permission to visit the site is required from the property owners. Those wishing to request permission are advised to contact the MHS Webmaster. “Manitoba Gazette,” Winnipeg Morning Telegram, 1 April 1901. “Boyne Valley Brick Works” by Hugh J. Borthwick, The Chronicle, 1901. “Re-opening of Leary’s brick plant re-establishes district industry,” Dufferin Leader, 8 January 1948. “Bricks from the Roseisle Hills,” Dufferin Leader, 9 July 1948, page 2. We thank Ina Bramadat, Lynette and Murray Stow, Gordon Brown, and Ed Ledohowski for providing information used here. This page was prepared by Gordon Goldsborough and Sheila Grover.